Home Blog General Can Cats Drink Milk? Can cats drink milk? It seems like a silly question to ask, but the answer may surprise you. In truth, many cats are lactose intolerant. It’s more common for kittens, but as they grow older, they have a hard time digesting the milk enzymes. Just like in humans, drinking milk can make them feel ill or affect their health for the long-term. Before you pour your cat a bowl of milk, make sure you discuss the risks with your veterinarian to make sure it is safe for your pet. How Can I Tell If My Cat Can Drink Milk? If your cat has a strong aversion to milk, you’ll know right away. Symptoms of lactose intolerance in cats include feline vomiting, diarrhea, and lack of appetite. Also, they may just stop drinking if they start experiencing symptoms right away. As a general rule of thumb, stick with water instead of milk. Water is always a good choice to keep cats hydrated and help them receive nutrition from their food. Remember, it’s not uncommon for cats to become lactose intolerant as they get older. That’s why it’s often kittens who drink milk without a problem and as cats age, feline digestive issues arise. If your cat has a preference for milk, try giving him lactose-free varieties instead. Additionally, if you’re concerned that your cat is not receiving enough calcium, there are other ways to provide the necessary nutrition for optimal wellness. Calcium is also found in meat, legumes, and can be sourced from supplements if your pet has a calcium deficiency. Many cats are picky eaters or develop stomach problems at some point in their lives. They also require certain vitamins to grow a healthy coat as well as strong bones and muscles. Their bodies aren’t able to produce protein-building amino acids or vitamin A like dogs can. Cats depend on the nutrition found in their food or snacks. Fortunately, there are several cat food options that have a mix of organic ingredients that support the digestive system. For new pet owners, finding the right food for your pet may be a matter of trial and error under the guidance of a veterinarian’s recommendations. What works for one cat may not work for another. Start with simple foods and add to your cat’s diet as needed. This may even include milk every now and then if your cat doesn’t have an intolerance and enjoys it. It still shouldn’t be a frequent part of a regular diet but could be a special treat. The main thing to keep in mind is to monitor your cat’s reaction to anything out of the ordinary they eat or drink. Any feline food allergies or health problems will become apparent in the way your cat physically reacts. Share your cat’s food restrictions and dietary needs with anyone who cares for your pet. Since a cat’s diet may differ slightly from household to household, what someone else allows their cat to eat may not be what’s best for yours. Make a list of cat food brands you use and foods that are to be avoided at all costs. Also, be sure to update it whenever something changes. This information is important for your pet’s health and should be readily available for any care facilities or people who feed your cat. Read labels and be picky when it comes to your cat’s nutrition. Choose foods and snacks that don’t include artificial ingredients. Cats need different nutrients at different ages. When they’re young, they need vitamins that will help their bodies develop and grow strong. As cats age, pet owners watch out for excessive feline weight gain or loss, cat heart disease prevention, and other precautions that are all affected by what a cat eats. A healthy diet for cats incorporates organic foods with vitamins A, D, E, and K; plus, a mix of healthy fats and proteins. Most cat foods are specially formulated for these dietary requirements. Based on this, cats drinking milk seems like a normal choice, but it’s not ideal for their nutrition or digestion. Their bodies break down foods and create foods differently than other animals. Build a healthy diet that has a balance of all the nutrients needed to support their outer appearance and internal health. A veterinarian will detect deficiencies at your cat’s regular checkups or when your cat isn’t feeling well. Don’t worry about your cat not having enough food variety. They require their own special food and nutritional attention. 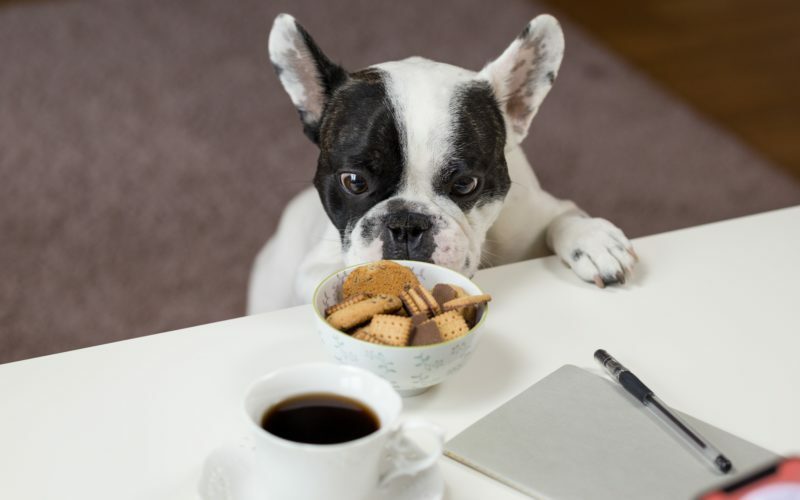 Once your furry friend gets into a certain eating routine, it’s likely they’ll want to stick with it. They just want to be well taken care of and loved. This can be achieved even when milk is not a part of the equation. “Calcium Deficiency in Cats.” NASC LIVE, nasc.cc/pet-university/calcium-deficiency-cats/. “Why Cats and Cow’s Milk Don’t Mix.” Prestige Animal Hospital, 12 Dec. 2018, www.prestigeanimalhospital.com/services/cats/blog/why-cats-and-cows-milk-dont-mix. Gibson, Brittany. “Stop Feeding Your Cat Milk-It Could Be Making Them Sick.” Reader’s Digest, 9 Aug. 2018, www.rd.com/advice/pets/can-cats-drink-milk/.